High up in the Sahyadris, just after the monsoon, Kaas Plateau springs to life. A carpet of wildflowers covers the earth, waterfalls gush over the rocks, and small rivulets trickle underfoot. It’s the perfect place for photographers, bird watchers, and nature lovers. If you've always wanted to visit the Valley of Flowers in Uttarakhand, but never had the time, then Kaas Plateau, the Valley of Flowers of Maharashtra, is just right for you. 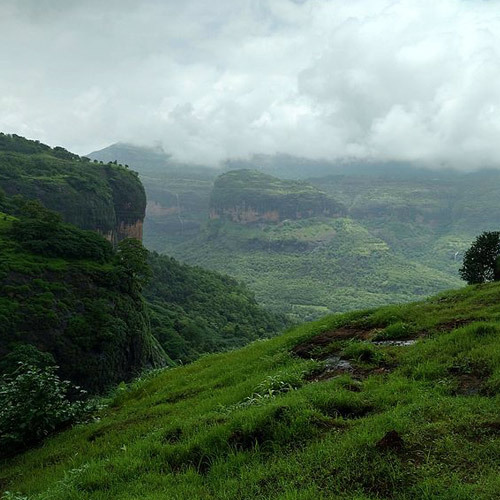 Situated high in the Sahyadris, about 22 kms from the city of Satara, the beautiful plateau is a pristine paradise for botanists, researchers, naturalists and photographers. 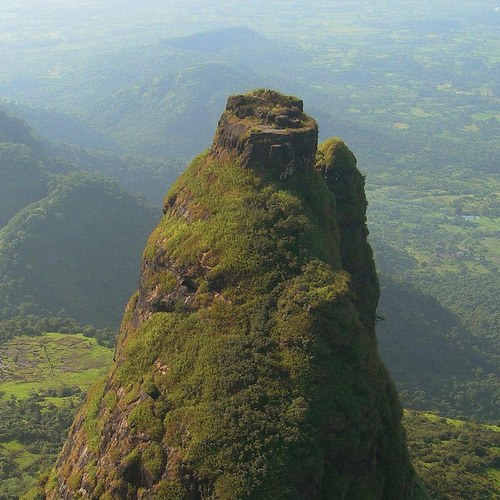 Find out more about the natural wonders of the Sahyadris in our article, Fascinating Factoids about the Western Ghats. The plateau is named after the Kaasa tree that grows here. While it is pretty all year round, it turns into a magical natural wonder just after the monsoon. Over 150 species of wildflowers carpet the land, and almost 40 of these species are so rare that they are only found here. Thanks to the abundant rainfall and flowers, you'll also spot tiny birds and beautiful iridescent insects in the foliage. For all these reasons, the plateau has been declared a World Natural Heritage Site. The Kaas Plateau trek is not hard, and so is a great option for first-timers and families with children. It does not require too much trekking, but you can explore the plateau and enjoy the views. You can also choose to climb to Thosegar Waterfall to add a bit of fun. If you’re travelling from Mumbai, you’ll be departing the previous night so that you can get an early start. If you’re starting from Pune, you will leave in the dark hours of the morning. When you arrive at Kaas Plateau, you’ll be given a briefing and then it’s time to set off to explore. There are some gorgeous viewpoints to see, and many great photography spots. You’ll take a break for lunch, and after that, you can hike down to the nearby Bamnoli Lake or trek up to Thosegar waterfall. By around 15:00 hrs, it’s time to depart and head homewards. Kaas Plateau is about 280 kms from Mumbai city. 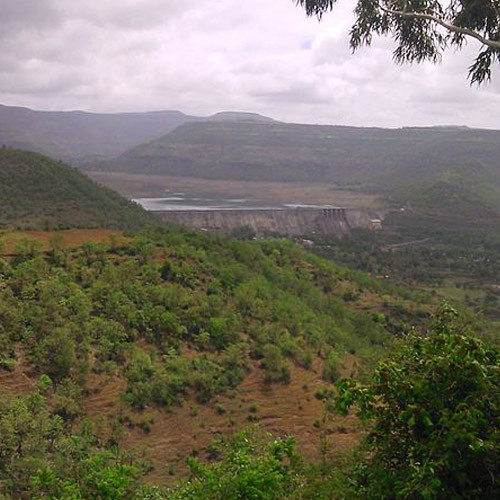 The drive to Satara takes 6-7 hours; Kaas Plateau is just 20 kms away. Many itineraries include a stay at Satara for a night so that you can visit Kaas Plateau at different times of the day. 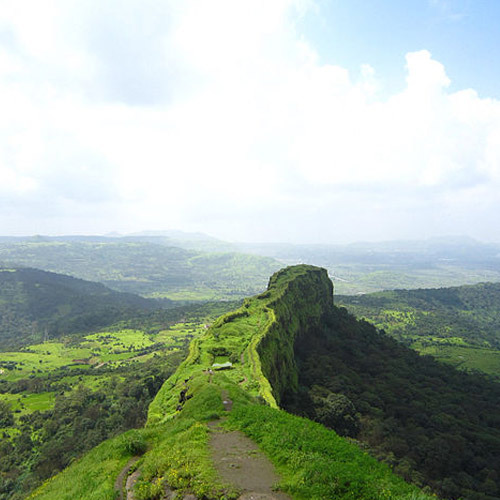 It is much easier to get to Kaas Plateau from Pune as it is only a distance of 125 kms. The drive takes less than 3 hours, making it a good option for a day trip. The best time to visit Kaas Plateau is during the monsoons, ideally during mid- August. During this time, the Kaas plateau comes to life, and all the dormant flowers burst into radiant life. Don’t forget to bring your camera along on your Kaas plateau, for the prettiest pictures of a gorgeous plateau filled with flowers, mist, and tinkling streams. 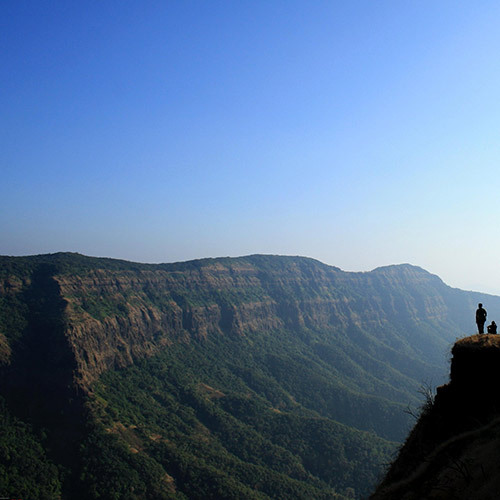 If you are a trekking lover, there are many trekking options near Mumbai and Pune that you might want to explore. For a short time afer the monsoon, the lovely green Kaas Plateau turns into Maharashtra's very own Valley of Flowers. The plateau is covered with a carpet of colourful wildflowers, drawing trekkers and nature lovers from around the country. During this time, there are over 850 species of flowers, including multi-colored orchids and the rare and beautiful Karvi flower. 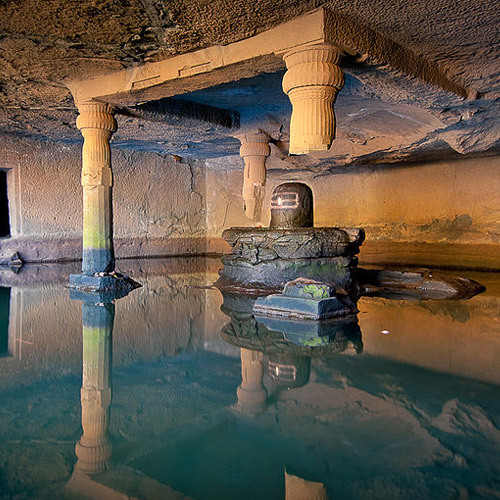 On this trip, you'll spend some time at Kaas Plateau in the morning, and trek down to Kaas Lake as well. It's an easy adventure that anyone can do, and will be specially beautiful in September. IMPORTANT: This route does not have any fixed washrooms or bathrooms. Picture a gorgeous valley carpeted with wildflowers and small streams of water crossing your path. Every year, between August to October, hundreds of nature lovers visit the Kaas Plateau, that comes to life with rare species of flowers blossoming after the rains. Just a short distance away from the city, this short hike takes you into a wonderland, and the best part is, this is an easy hike that even first-timers will have no problem completing. What is the difficulty level of the Kaas Plateau trek? The Kaas Plateau trek is hardly a trek: it is more of a walking exploration of a largely flat plateau. 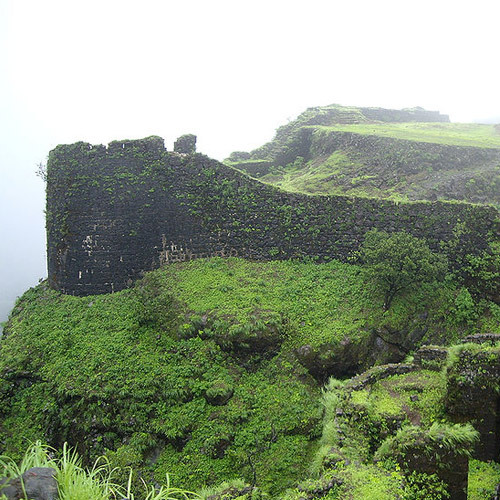 It is a perfect monsoon trek for beginners or groups with children. You can spend a few hours enjoying the natural beauty of Kaas Plateau, and will return with great photographs. 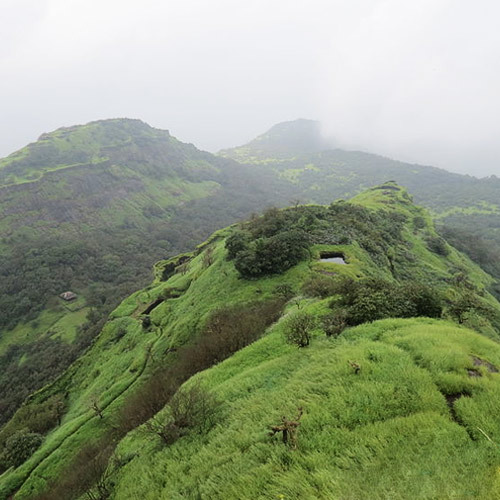 What should I carry for the Kaas Plateau trek? You don’t need much for your trek. Wear comfortable trekking shoes, quick-dry clothing, and a raincoat. Make sure your bag has a rain cover too. Some people like to carry a change of clothes or at least a spare pair of socks and sandals to wear on the way back. If you have young children, take some dry snacks and fruit. A sun cap, sunglasses, and insect repellent and sunscreen can make you more comfortable on the trek. Apart from all this, your operator will provide you with a complete packing list, so do make sure you pack accordingly. 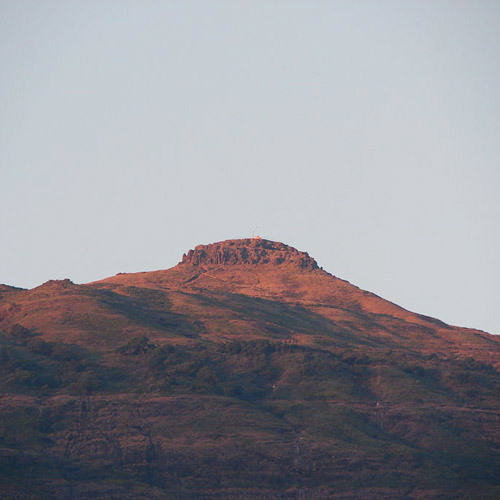 Read our blog about What to Pack for Trekking in the Sahyadris. When is the best time to visit Kaas Plateau? Kaas Plateau is open all year round, but it is most popular during the monsoon. During this time, over 150 species of wildflowers burst into life, covering the plateau in pretty colours. The weather is cool and misty, and the surrounding landscape is lush green too.